I saw these watches when I was on holiday. I have to say that the watches look very interesting. 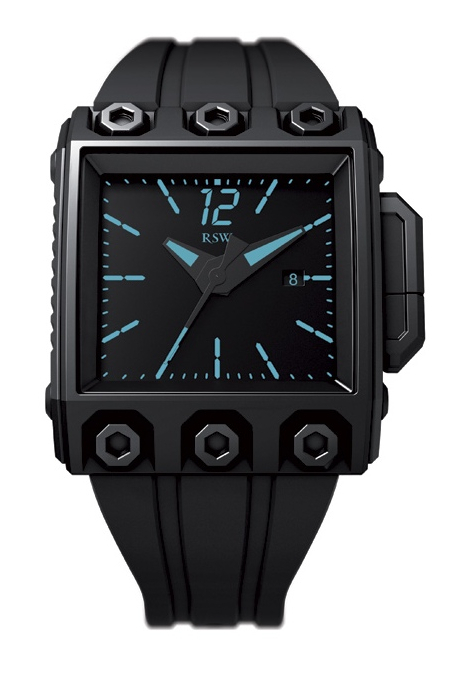 The RSW Outland 3H watch is one unique watch, with its industrial look and rows of hex-bolts above and below the dial. The strong black design is balanced out by a bit of color on the dial. There are a number flavors to choose from. RSW is a brand of Rama Watch SA. M.A. Marachly founded it in early 2000, and the company is based in Switzerland. 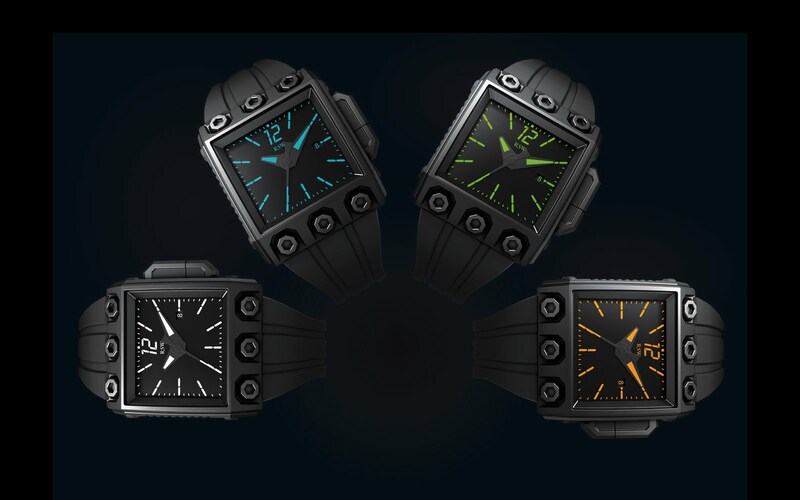 RSW makes contemporary looking watches for discerning collectors. The 3H continues the saga of the Outland collection. In this watch, the disc designed for telling time of the original Outland has been replaced by a normal looking hands (3 off), hence the name 3H. This does not mean that this latest incarnation the Outland is no longer futuristic. In fact, far from it. 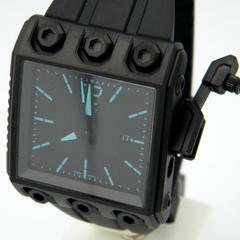 It keeps the neo-brutalism design the original Outland watch is well known for. Best of all, it still maintains the famous folding crank-crown mechanism. I had a look at this crank-crown mechanism and found it interesting. Another view of the crown crank mechanism. 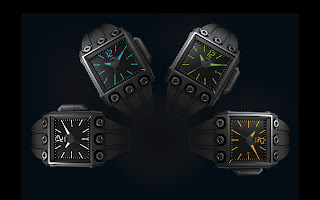 The watch looks very industrial with the front of the watch adorned by 6 very large hex-bolts. There's three on the top and three at the bottom. The font used for the hour index markers are reminiscent of the digits seen on digital watches. Besides a number of dial color variations, the watch is available in stainless steel or a PVD/stainless steel combination.